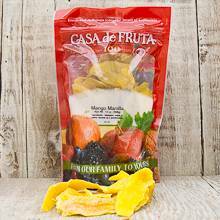 These delicious dried manilla mangoes are without a doubt the best tasting in the world! High in Vitamin C and naturally a fat-free food, dried manilla mangoes are a healthy alternative for an all day snack. From Lynnette of San Dimas, California on 5/1/2013 .